So yesterday I went to my hairdresser to get my usual root tint done with my friend Debbie ( I started getting grey hairs already) weep weep. And I was talking to them about how much I hate my hair. It had been getting SO thin and dry at the ends, and basically looked disgusting. All I wanted was beautiful long hair with blunt ends - is that too much to ask. Like every hairdresser recommends, she said to just go for the chop and look after my hair. This is the shortest my hair has been for a long time. Let's just say I did want to have a little cry when I got back home #firstworldproblems. So I have decided to do the following things to improve the condition of my hair. There's no point cutting off the bad hair and then not maintaining it right? 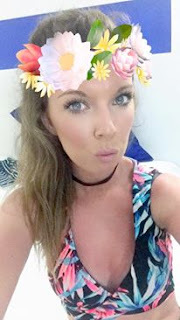 I am going to do my best to avoid using my hair straighteners! My hair is naturally curly/frizzy so it's quite hard to avoid using them. 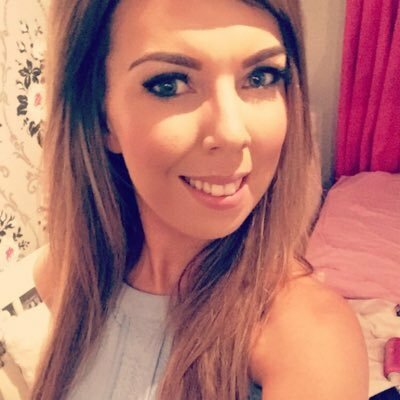 I'm going to make sure I always use heat protection if I do and blow dry my hair straight instead of using my GHD's. I have just bought a new hair brush - one of those detangling ones. I used to have a pink tangle teaser but I can't find it anywhere. I am going to be very careful when brushing my hair especially when it's wet. Treating it more like silk. So after watching a vlog from Lydia Millen, I noticed she was using a shampoo to detox and gently cleanse the hair. I bought the new Herbal Essences daily detox golden rasberry and mint shampoo and conditioner! I'm hoping using more gentle products on my hair will limit the damage. I also bought the Aussie 3 Minute Miracle oil reconstructor to smooth over my frizzy hair after styling. This has 3 different amazing oils in it so I'm hoping it'll work it's magic. I am using other things such as heat protectant, coconut oil and hair masks already but I'm going to make them more of a regular thing! I have heard quite a few people say they tie their hair back when they sleep or put their hair in a braid. I'm going to start doing that instead of sleeping with it down. As I go to my hairdresser every 2 months for my root tint I have no excuse to not get my hair cut every 8 weeks. This will maintain getting rid of the bad hair and keeping it nice and thick at the ends. 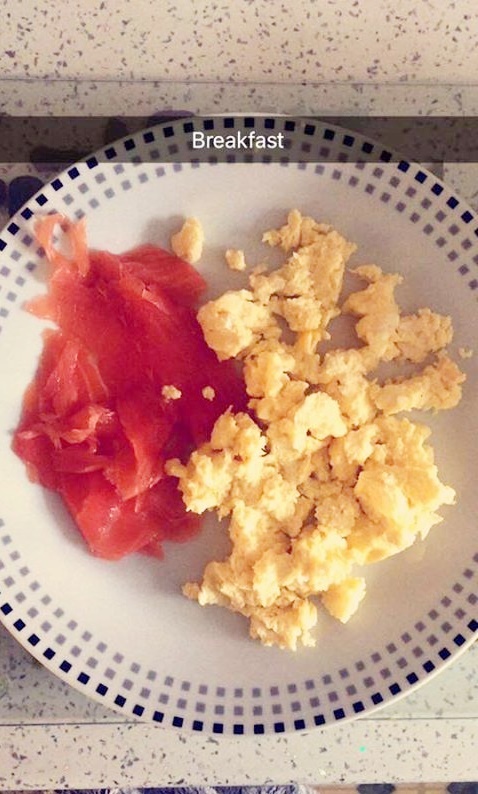 I have already improved my diet recently (READ MY FIRST WEIGHT LOSS POST HERE) I'm trying to eat more protein and vegetables. 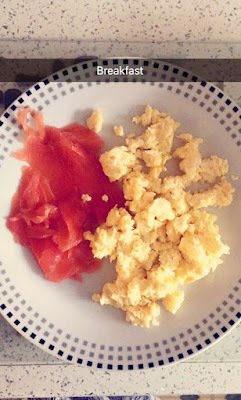 I have been recently eating scrambled egg and smoked salmon for breakfast.. YUM! 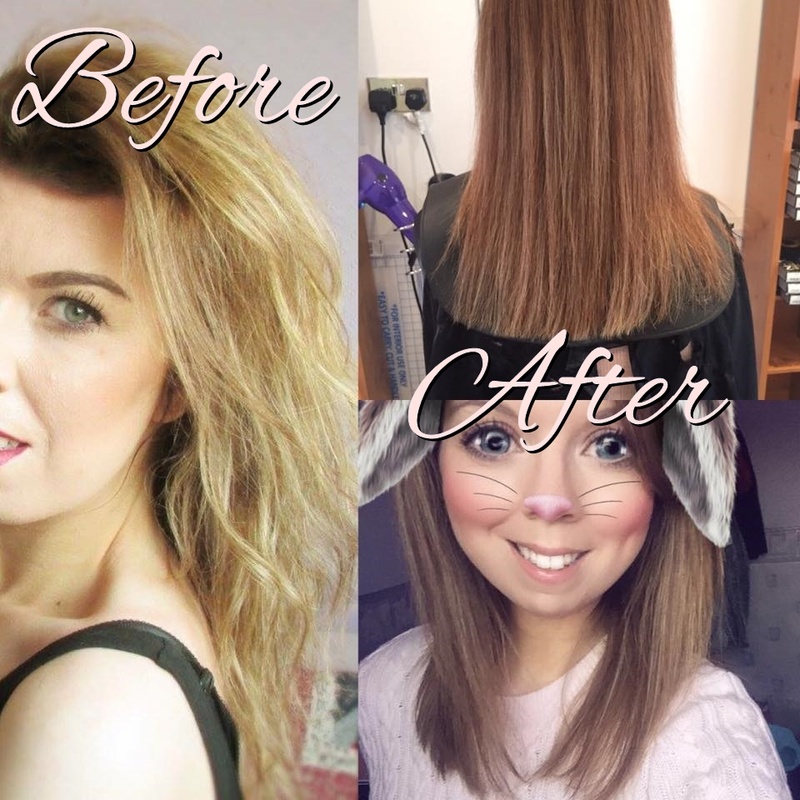 So yea they are a few things I'm changing, and I thought I'd write this post so I can update you guys in 6 months or so to see how my hairs growing! I did do a post in the past on growing your hair, but it just wasn't very helpful on growing HEALTHY long hair hah! (YOU CAN READ IT HERE) Look how much longer my hair is in the pic though! You may not be able to see it (because my hairs all put to one side) but it was soooo thin. Anyways that's enough of me rambling. I hope you found this post helpful, and I'll update you guys soon! Do you have any tips on growing healthier hair? I'm actually really bad for going to the hairdressers! I definitely need to go for trims more oftern - yours looks fab! I'm actuall quite good at staying away from heat. I don't use straighteners very often and my hair is naturally curly anyway. I also let my hair air dry... even though it takes hours because my hair is so thick. Coconut oil and olive oil are the best for any type of hair, I have been using both of them as hair masks and I've seen great results. Avoiding heat is also great and I usually do this 3 months in the summer, I don't use any heating tools. i've dyed my hair quite a lot so i definitely need to do these things as well to make sure it stays healthy! i've had short hair for a while now as well and i love it! 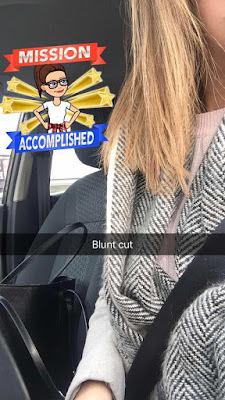 A blunt cut always makes hair look thicker! Sounds like it will be much healthier now with what you're doing! I always sleep with braids or with the hair up and I think it really helps! Also, I use either a product with morocco oil or a product from Photo (that has 7 herbs and is supposed to hydrate the hair) at night and I think it is really making my hair look better!! I've seen in many places that you should only brush your hair when it is dry! your hair looks so pretty! I've been growing mine out too, avoiding heat and using hair oils on the ends have been keeping it looking nice! Wow so nice hair. I really love them. You can find best hospitals & doctors in delhi for hair transplant. Thank you so much for sharing.